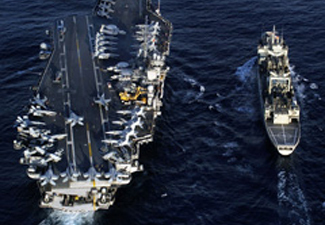 From the US Navy to commercial fleets, Kingsbury bearings propel and excel. 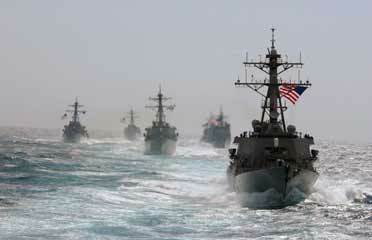 Kingsbury bearings have been keeping the United States Navy fleet afloat for a full century. 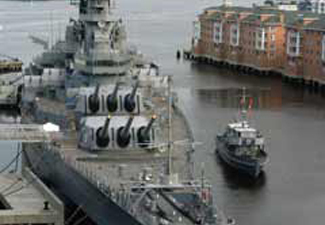 The reliability of our bearing systems for commercial or military marine applications, is unrivaled. Kingsbury has a wide array of bearing configurations for marine propulsion systems. The shaft rotation speed for marine applications is much lower than that of turbomachinery equipment. Kingsbury's flooded style thrust bearings are the standard choice for these applications along with a sleeve type (fixed geometry) journal bearing. 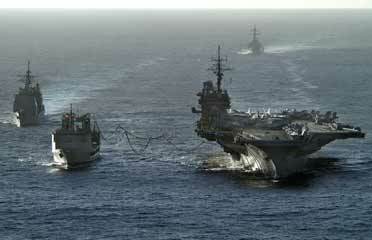 Kingsbury is extremely proud of its relationship with the United States Navy. 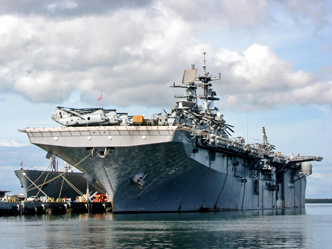 Kingsbury has provided bearings to all of the major Navy surface and submarine vessel-classes. 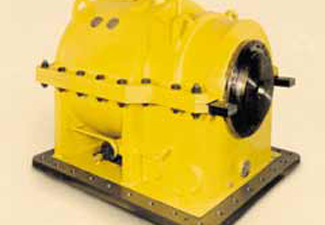 Kingsbury provides bearings for many shipboard applications, including main thrust and journal bearings (propeller shafts), main-reduction gear bearings, gear positioning bearings, line shaft bearings, and hundreds of bearings for the support and auxiliary equipment onboard ship, including pumps, compressors, blowers, turbines, and motors. 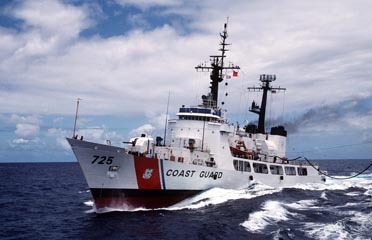 Kingsbury also provides bearings for Coast Guard and Commercial marine vessels. Kingsbury provided the 43.25" thrust bearings to Westinghouse Sunnyvale (Northrop-Grumman) for the main reduction gears for the CG-Class Cruisers. 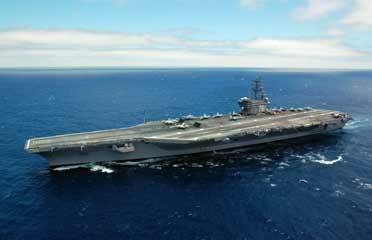 Kingsbury provides main reduction gear, line-shaft, and many other bearings for the Navy's existing and future fleet of aircraft carriers. 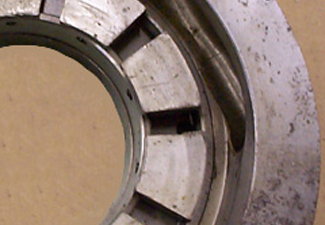 This photo shows a bearing which, while still operating up until the point of a scheduled maintenance, nonetheless exhibits damage and wear, probably from debris in the oil or from insufficient lubrication. Kingsbury can restore this bearing to as-new condition, often in one week or less, by repairing or replacing the thrust shoes ad repairing the rest of the bearing. Kingsbury also provides the housing, seals, and base-plate for some Navy and commercial marine (cruise liners, dredges) applications. Kingsbury also provides bearings to many of the support ships of the U.S. Navy such as auxiliary oilers and transport/landing vessels. 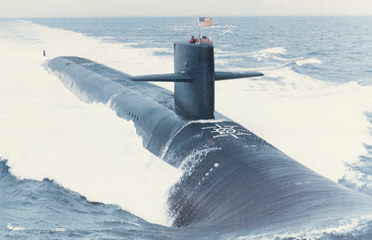 Kingsbury has a long history of providing bearings for the submarine fleet, including our innovative vibration-reducer technology. 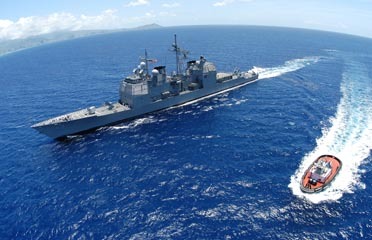 Kingsbury bearings supporting the propulsion ad shipboard systems of the U.S. Navy Fleet.